The Justice Department aims to bar anyone who enters the U.S. illegally from applying for asylum, a move that would put many in mortal danger. The Department of Justice is hoping to restructure the U.S. asylum system to bar anyone who enters the country illegally from applying for asylum, news that Vox broke recently. The proposed changes would likely prevent most people from Central America from winning asylum in the U.S.
Donald Trump’s administration is once again turning its back on the needs and basic human rights of LGBTQ asylum seekers. The DOJ’s changes to the asylum system, as currently described, would prove catastrophic for persecuted LGBTQ Central Americans. Central America remains dangerous for many LGBTQ people. According to a 2017 Amnesty International report, attacks on LGBTQ people are rampant in the Northern Triangle of Central America — Honduras, El Salvador, and Guatemala. The report confirms 264 murders of LGBTQ people in Honduras between 2009 and July 2017. During February 2017, three trans women were murdered within a mere 72-hour period. A fourth trans woman was brutally attacked only days later. The nongovernmental organization Transgender Europe has reported that 40 trans people were murdered in Guatemala during 2016. Additionally, the DOJ’s proposed changes would penalize Central Americans who do not seek asylum in Mexico. According to Vox, “The proposed regulation would make it a lot easier to deny their asylum claims based on not having sought asylum in Mexico first.” This amendment is especially dangerous for LGBTQ-identified asylum seekers. LGBTQ people in Mexico face violence and death. 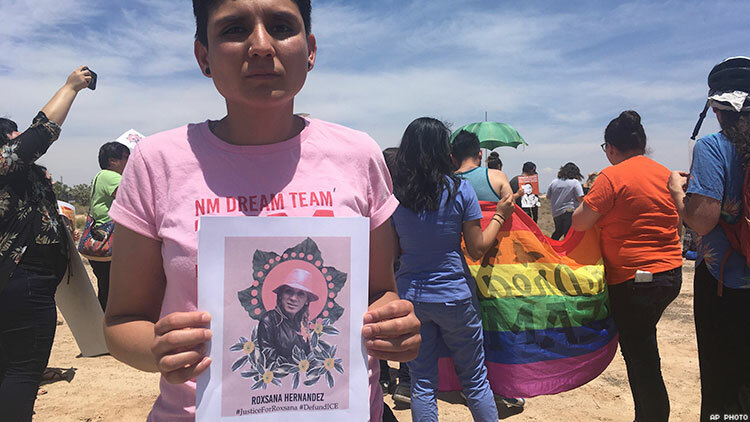 For example, El Dia reported that at least 202 LGBTQ people were murdered between 2014 and 2016 in Mexico, a rate of nearly six homicides per month, with trans women facing the most violence. In 2017, Firstpost reported that homophobia was on the rise in Mexico after a push for marriage equality by President Enrique Pena Nieto. Immigration Equality, a national LGBTQ immigrant rights organization providing free legal services and policy advocacy on behalf of LGBTQ and HIV-positive immigrants, cites Mexico as one of the top three home countries of their clients (alongside Jamaica and Russia). The DOJ’s proposal would also make it more difficult for LGBTQ asylum seekers to prove persecution. “One lawyer raises the example of a gay man in Russia who suffers a violent homophobic attack,” Vox reported. “Under the proposal, ‘this would not be persecution on account of sexual orientation unless you could prove that these attackers had previously persecuted other gay men.’” This elevated burden of proof threatens to discredit many legitimate LGBTQ asylum claims. Let’s be clear: The U.S. asylum process does not need to be tightened. Asylum seekers and refugees in the U.S. already go through a rigorous vetting process in this country. In fact, the asylum process is so lengthy and complex that it often takes years to conclude. The Trump administration’s crusade to overhaul the asylum system and make it even more difficult for persecuted people to find safety marks a clear human rights violation. everything behind in order to attain safety. They are strong, resilient survivors of persecution. It is these people, those who have overcome horrific hate crimes in their home countries, who the Trump administration has decided should not be allowed in the United States. Make no mistake — the administration’s proposed changes to the asylum system would further impede survivors’ basic right to reach safety. At the intersection of two polarizing issues — immigration and LGBTQ rights — LGBTQ asylum seekers remain especially vulnerable under the current administration. In these trying times, it is crucial to remember that although LGBTQ equality and safety are increasing in some countries, they’re decreasing in others. Consequently, it is more important than ever to protect the legal right to seek asylum in the U.S. to escapte anti-LGBTQ persecution. KATIE SGARRO is cofounder and president of AsylumConnect, a tech nonprofit creating the first online resource catalog for LGBTQ asylum seekers in the U.S.